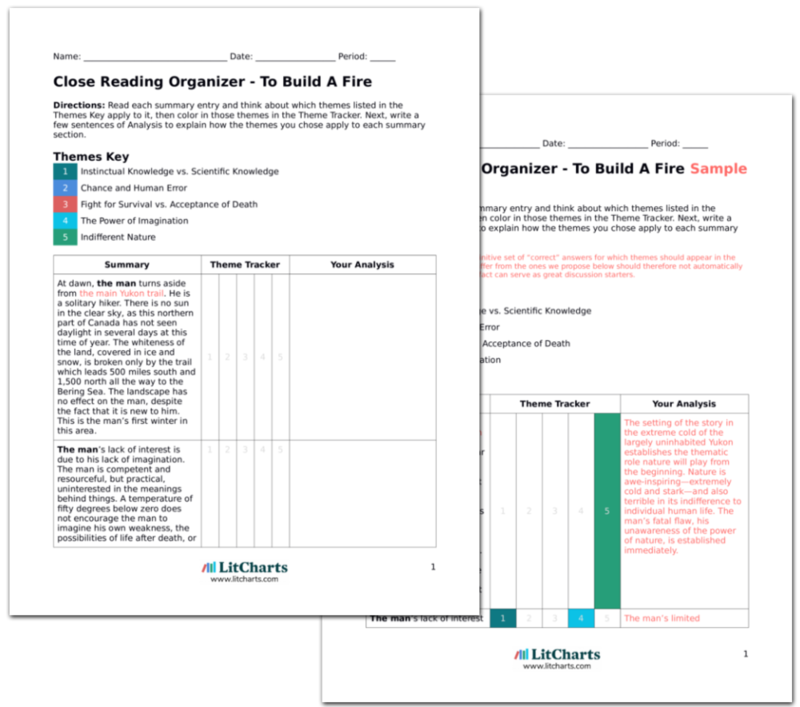 LitCharts assigns a color and icon to each theme in To Build a Fire, which you can use to track the themes throughout the work. Champlin, Nikola. "To Build a Fire Themes." LitCharts. LitCharts LLC, 21 Jul 2015. Web. 21 Apr 2019. Champlin, Nikola. 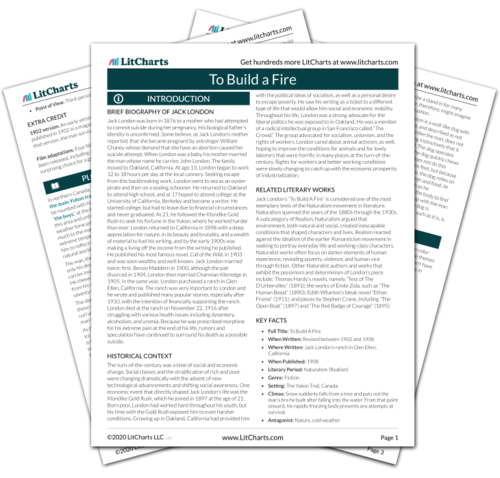 "To Build a Fire Themes." LitCharts LLC, July 21, 2015. 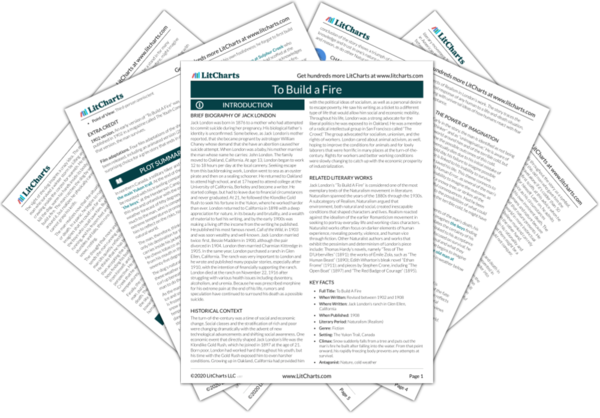 Retrieved April 21, 2019. https://www.litcharts.com/lit/to-build-a-fire/themes.